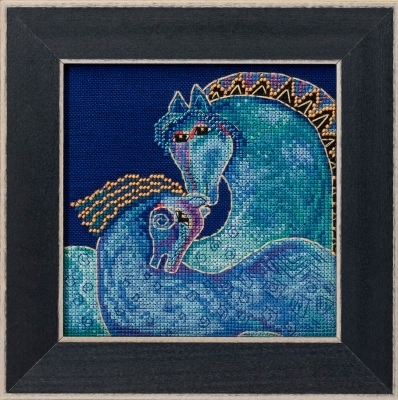 Laurel Burch kit includes Mill Hill Beads, Royal/Christmas Blue Aida or Linen, floss, needles, chart and instructions. The 6" x 6" Mill Hill frame GBFRM1 is sold separately. Use the drop down box to select which fabric. Size: 5.75 x 5.25 inches.